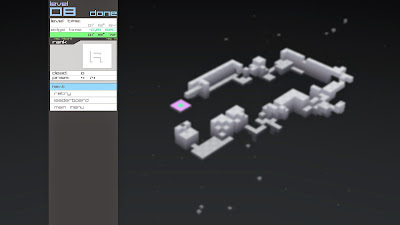 EDGE is a platformer that is occasionally fast-paced and contains some puzzle elements. 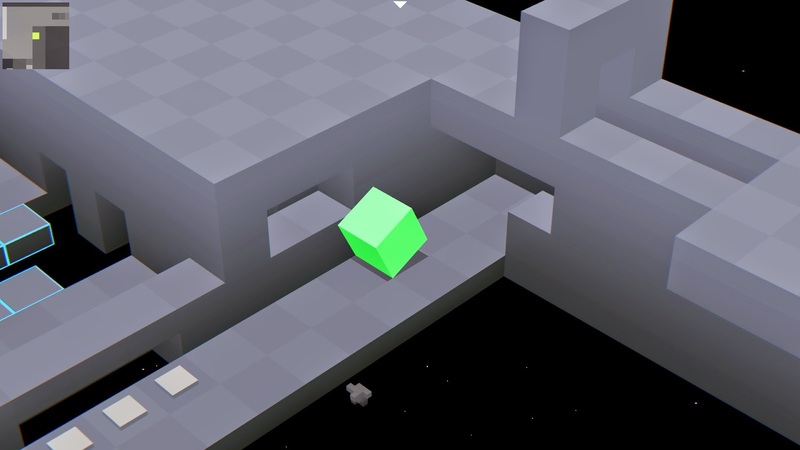 As a cube, the player traverses a level as quickly as possible towards the exit. Using the mini-map in the upper left to navigate. 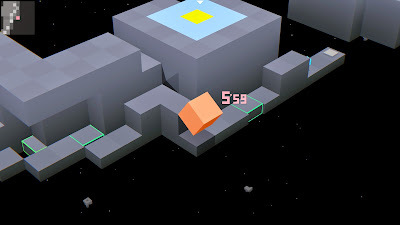 Along the way, the player's secondary goal is to collect prisms that are spread throughout the level. EDGE has many levels and has a grading system which encourages replaying levels to perfection - a combination of fast completion time, 100% collection of prisms spread throughout the level, no deaths, and high EDGE time. 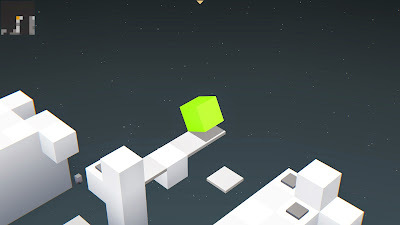 While such a time-based game mechanic and grading system is generally sufficient to getting me hooked on a game, at least for a couple of hours, I am personally uninterested in EDGE. With that being said, results may vary, and if you generally enjoy playing platformers that require speed and precision (e.g., Super Meat Boy (2010) or Electronic Super Joy (2013)), then there's a chance you may like EDGE. Pulling off a difficult move in order to decrease the level completion time. If I'm correct, today was my first time playing EDGE, but I didn't play for very long. Today I started up EDGE and was surprised to learn that I had played a little of it before (the first three normal levels). In any case, I proceeded to play up to and including the ninth normal level. 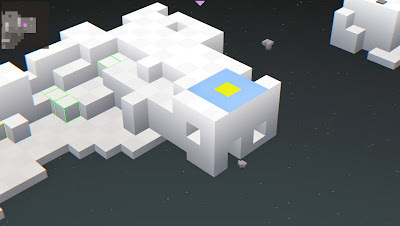 Revisiting EDGE today, I played for another fifteen minutes, completed five levels (10-14), and only played each level once. However, it has become clear that I don't have a strong attraction to this game.